A couple of weeks ago iLL BLU announced that they’ll be releasing a single on Island Records on May 12. In anticipation of its release, just over a week ago the duo released a music video for the upcoming single, Blu Magic, directed by Reggie Yates. Those familiar with iLL Blu’s early work on the Hyperdub or MadTech labels were likely surprised by the chillout-house the duo showcased on last year’s track Fall Out. On Blu Magic, iLL BLU continue their evolution: gone are the frenetic UK bass sounds of their earlier work and in its place is a pop songcraft we’ve not heard from the duo before. Beginning with a steady kick-drum pulse and organ stabs, Max Marshall’s soulful R&B vocals soon emerge, immediately planting her pop hooks into your memory, and when all mixed together Blu Magic adopts a Rudimental-like appeal. At 1:15, the chorus arrives and the song explodes. Propelled by a killer thick bass groove, house beats, and Max Marshall’s energetic vocal melodies, it’s damn near possible not to dance to this tune. Taking a leaf out of Artful Dodger’s book by fusing UK garage with top notch songcraft, Blu Magic is impeccably written and produced. From Max Martin’s pop-perfected vocals to the deft production touches, this thing is practically bursting with melodies – be it the quirky blips throughout or its chorus to die for. 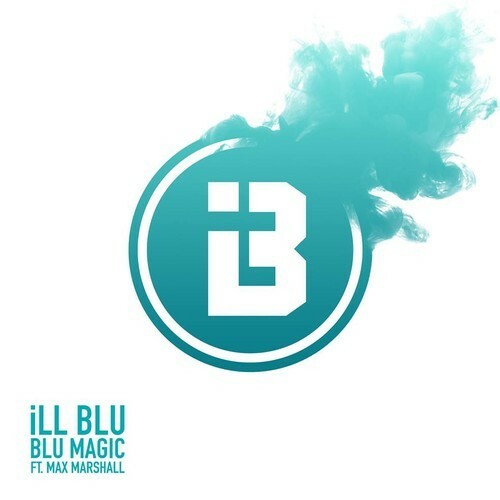 Blu Magic also exudes an undeniable US R&B flavour and you get the sense that this is just the kind of tune that has the goods to be a hit on both sides of the pond. In 2008, iLL BLU quickly established themselves as promising producers creating Princess Nyah’s Frontline in their home studio. The track was driven by top DJs including Marcus Nasty at Rinse FM, Pioneer and Cameo. DJing to crowds from Denmark to France to Fabric, the duo embarked on a hot run of EPs: in 2011 they released the Meltdown EP on Jackmaster’s label, Numbers, followed by two EP’s for Kode 9’s Hyperdub label – Bellion in 2010 and Clapper in 2012. However, the duo’s sound evolved with 2012’s Illusions EP on deep house producer Kerri Chandler’s label, MadTech. Showcasing their advancing deeper tech elements, in 2013 they continued their musical modification by releasing Fall Out, a smooth mature sounding chilled out house record featuring the stunning vocals of Jake Isaac – the first release from their partnership with Climax Music. Blu Magic will be released as single on 12 May, 2014.